It’s twelve years since Boca last held an election to decide their president, during which time Mauricio Macri’s presidency was pretty succesful, for both club – shedloads of trophies including a few Copas Libertadores – and Macri himself, whose political ends were realised last year when he was voted in as Mayor of Buenos Aires. 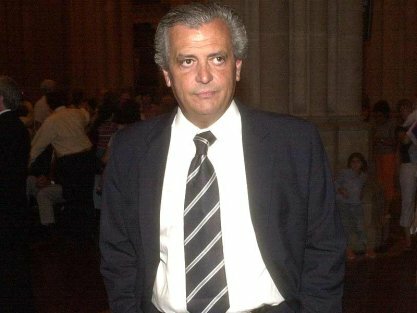 The handover to Pompilio when he stepped down as Boca president, however, wasn’t massively popular with fans who’d wanted a say in the succession, and this has been exacerbated since by Pompilio’s appointment of Carlos Ischia, who many Boca fans were initially sceptical about having as manager, among other factors. A group of Pompilio opponents, headed by Pablo Abbatángelo and Roberto Digón, spoke out against the ‘guarantees’ offered by the president and his board, even though in Pompilio’s words, ‘[for the last eight years] they’ve been fine, and now they’re not.’ The president looks set to use the elections, though, to get rid of some of the more troublesome elements in his boardroom, answering with a simple ‘no,’ when asked whether he’d present a list of present incumbents as his candidates in the new elections. Who indeed. Before the Clausura is out, it might well be the club’s members, for the first time since 1996.